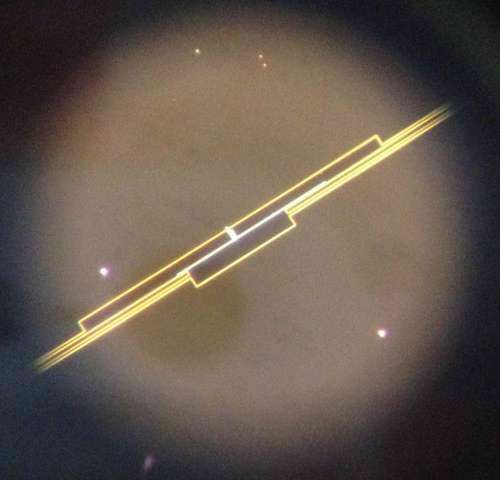 In quantum computers, single photon circuits are an essential component. The circuit contains a quantum bit or qubit, connected with a resonance circuit. This resonance circuit restricts photon output at a particular frequency. This frequency depends on circuit design. The restriction by resonance circuit means scientists require to repair them each time whenever a different frequency required. Although, it is time and labor exhaustive. Scientists overcome this problem by developing a new tuneable device. They have developed a highly effective, single photon microwave source. This research is done by scientists from NPL, in collaboration with RIKEN in Japan, the Moscow Institute of Physics and Technology and Royal Holloway, University of London. This new single photon microwave source is capable of generating single photons over a wide range of frequencies on demand. It has the potential to used in various applications. For example, in quantum computing, quantum information technology, and in studying the basic reactions between light and matter in quantum circuits. The device comes with more than 80% of efficiency. This is extremely competitive as compared to other sources. The technology uses a super-cooled qubit that connects two open ends of a broken transmission line. At one end, microwave photons are outputted and strongly joint with a qubit. Whereas, at the other end of the transmission line is weakly connected and use as the input port to activate the single photon emission from qubit. An input pulse is used to inspire the qubit into a higher energy-state similar to an electron orbiting an atom. After being inspired, the qubit relaxes instantly and produce a single photon. The qubit energy can be the tune so that altering the frequency of the output photons. This single photon microwave source can also used to shed light on the basic interactions between light and matter.